By utilizing the Support Links listed at left your Mugsy Support Staff can answer your access code requests, ordering concerns or just general photo questions as quickly as humanly possible. Answers to Support Links email are generally answered within 24 hours M-F.
Q: Need Photo Access Code? Q: Where is my ONLINE ORDER? If you ordered online we will need your ORDER CONFIRMATION NUMBER. (This number is found on your dashboard after logging in under the Order Tab). Shipping information re: this order is found there as well. For questions regarding missing or damaged ONLINE ORDERS please use form below. We will research and respond to you via email within 48 hours M-F. Please note: There is a 90 day grace period regarding submission of missing orders. After this grace period we will ask you to pay 50% of your print order total and/or a $15.00 fee to resend any digital files. Q: Where is my SCHOOL Placed Order? If you ordered via envelope thru the school your order will be delivered to the school. School placed orders are sent to school and then distributed to your child via their teacher. 1) We never received the order. 2) The prints/order are awaiting distribution by school or teacher. 3) The prints/order are in student desk, cubby, backpack or carpool car. Please check all of these places. 1) We received the order. We scan all order envelopes but it takes a bit of time to search through them all to find yours so please allow us time to do so. 2) If we do not have a record of receipt we require a proof of purchase. A cancelled check is fine. There is a 90 day grace period regarding submission of missing orders. After this grace period we will ask you to pay 50% of your print order total. Q: Where is my "EMAILED" digital portrait? You will want to add the email address digitalorders@mugsyclicks.com to your contacts or safe senders list to assure receipt of your emailed digital files. These images will come via a download link from HighTail. There is a 90 day grace period regarding submission of missing orders after this time there is a $15.00 fee to resend any digital files. Q: Missing Prints or Digital Images that I ordered. Online Web Order: If you ordered from more than one gallery (2 subjects) open the mylar sleeve and remove all prints. 95% of the time the missing package is hidden behind the first one. Image Download: If you ordered retouching your digital file will come via email from DigitalOrders@MugsyClicks.com. Please make sure that you have not "unsubscribed" from MugsyClicks emails. Also check your spam folder. Retouching requests can extend delivery time as much as 7 days during the busy season as this is manual request fulfilled by an actual person. Digital Downloads are found under the Orders tab on your dashboard. Retouched images are NOT available for instant download and NO RETOUCHED IMAGES are delivered via your dashboard link. See above. Need more help? Use link below and include all requested information for prompt reply. Remember if you have unsubscribed to MugsyClicks Emails our reply may be blocked from your mailbox. Please list us as permitted contact. Use your account link to subscribe to "Notifications only". Q: How do I indicate my choice of yearbook pose? *if your child had a reshoot you are responsible for letting your school yearbook advisor know your image selection from the two galleries. **The yearbook pose indicator will disappear after the yearbook deadline has passed and the disk has been sent to your school. Any changes after this point must be done directly with School Yearbook Advisor/Volunteer. Mugsy is no longer a part of this process. Q: My child had a reshoot, how to I indicate which image to be used in yearbook? MugsyClicks will provide a primary image choice from both your subject's sessions on your school's yearbook disk. We have no way to indicate which session you prefer to have as your primary image (yearbook pose choice). The second session is NOT THE DEFAULT CHOICE (we can not determine which session is their preference. The indicator is active in both). You are responsible for letting your yearbook advisor know your image selection from the first or second session. Forgot your log in and password? Did not receive the requested information? Your spam filter is working hard to protect you from us. Please make sure MugsyClicks is in your allowed list of email correspondence. Q: Why create an account? Your child's photos are saved in your online account so you never have to find an envelopes or re-enter long access codes. Enter your access code once and never again! Utilizing an email address to create your online account assures communication regarding orders, deadlines and special offers. We never give away or sell information. To opt out of our email marketing please click "opt out" at the bottom of the Constant Contact Email template. They will block you forever. This can be a bad thing if you want those photo day reminders, order deadlines or promotional codes. Q: Are you saving my Credit Card information? We are definitely NOT retaining credit card numbers, if you see your credit card info auto feed into our website that is from the browser cookies. All of your credit card entered into our site is sent to Authorize.net which is a huge online security company. Q: How do I view my INDIVIDUAL Portrait? Each individual or group photo session has a unique code that allows you to attach the images to your personal account. This Access Code changes for each photo session. Once the code has been used to attach the photos to your personal account you will not have to do it again as long as your account remains active. Q: How do I view my GROUP photo? Group Photos require a Separate Access Code from individual portraits. You will need to enter the class photo access code only once. Once this gallery of images is attached to your account they will be available to you as long as your MugsyClicks Account remains active. Q: How do view my UNLEASHED Family or Business Photos? Your UNLEASHED Family Portraits or Business Photos require a Photo Access Code. You will need to enter the Photo Access Code only once. Once this gallery of images is attached to your account they will be available to you as long as your MugsyClicks Account remains active. Q: Why can't I see my photos? Once you enter your Photo Access Code the gallery of images will be listed on the right hand side of the page. Click on this gallery to see the images. There are 3 reasons why you may not see images in your gallery. 1) Job is still in editing and has not yet been uploaded. Please allow at least 3 weeks from photo day for images to be edited, color corrected, data matched and uploaded. 2) Subject was not photographed on the scheduled photo day. 3) There is a broken image link to gallery. Q: How Long Will My Photos Be Available? Once you have utilized the photo ACCESS CODE to attach your images to your photo album your gallery of images will be available to you as long as you maintain an active account with MugsyClicks. Package pricing is only available during the current school year. MugsyClicks reserves the right to discontiinue hosting images for any gallery that has had no purchase. Q: Promotional Code Not Working? Promotional discounts are often during the "early ordering period" or via email promotions. To receive promotional discount you will need to enter the code found on the order envelope or in your email at your order check out. Below are the 5 most frequent reasons a code does not work. 1) There is a space at beginning of cut and paste of the code. 3) The amount of sale did not meet the order minimum. 4) The code could only be used once. 5) The code can only be used once per order. Q: Can I still order photos from past years? We understand that these photos are precious and have done our best to file them away but Archived images prior to 2009 are not available online and are very tricky to find as they are no longer attached to the Teacher or child's name. IF you have the original order envelope with the image jpg number listed it makes this process much easier. If you do not have the image numbers there is a research fee of $50 for each year and subject that you would like us to locate. This is a time consuming process and is only available in our off season- January and July. Once located these images can be purchased at the current archive price list. Be sure to include "Older Photos, Pre-2010" in the email. Q: How do I order a replacement ID Card? Replacement ID cards for staff or students can be ordered online. We are happy to provide one complementary card but replacement cards must be purchased. You can request a student or staff Photo Access Code via the Photo Access Link to your left. Q: How do I order Group Class Photos or Composite Class Gallery Prints? To view and order class photos, after you've logged in you will need to add the GROUP PHOTO ACCESS CODE to add these images to your account. This only has to be done once. You MUST CHOOSE BOTH PHOTOS when ordering the Group Photo Combo. This is not automatically done. If at any time you want to return to your photo albums in your online account, click on "My Account" in the upper right hand corner of every web page, just below your email address. Then click "View Photos". Class Photos: are available approximately 3-4 weeks after last Class Photo Day. Gallery Composite Prints: approximately 8 weeks after the scheduled Make-Up Day. These prints are created after Make-Up Photo Day in order to include all students. Q: How do I order individual photos? To view and order photos, after you've logged in, click on the photographed subject's name, found here. To order a specific pose, click on an image to enlarge it, then click on "Order Prints" (lower right corner). This will pop you into the Store and you can choose any photo package, single photo sheet or gift item to order from. Q: I missed the deadline for returning my order envelope back to the school. What are my options? Online ordering is open through June of the current school year. If ordering online is not an option for you, please contact our Customer Support at 415.459.6847 Ex #2. Online orders for Individual Photos arrive in approximately 1 week, including ship time. Orders for Class / Group Photos / Class Gallery Prints use a separate handling system since they require a proofing process by the school administration as well as editing. Once those processes are complete the photos are generated and shipped on a separate schedule from individual portrait photograph orders. Customized Gift Items require approximately 3 weeks. Due to the subjective nature of photography and illegalities of duplication we cannot issue refunds on photos... so please order carefully. If you are unhappy with the quality of printing you may return the entire photo package to our studio for review. After we have reviewed your prints, we can offer you 75% refund on the print prices, minus the Shipping and Handling fees. We can not issue these monies back to your card without recieving the prints back from you. It is important that we have reference for conversations to our vendors as well as our photographers training. However, if we review your order and determine that our standards have not been met by our lab or photographers, we are happy to reprint or replace photos at no cost to you. Q: Why do you charge what you charge? Professional, high quality portraits at school photo prices . . . Okay, so let's talk frankly about our prices. No tap dancing. We provide professional portraits at school photography prices. If you truly compare us to our competitors product and services you will find we are all pretty dog-gone close in price, but not at all close in quality or services. Advantage: Mugsyclicks! We use some of the best photographers your community has to offer. They spend time being trained in MugsyClicks Style to produce the best product possible. We all use expensive professional gear. We have almost 20 years experience in the "new school of photography". Our combined years of photography experience is in the hundreds! Our photographers shoot for free unless you like what they produce and decide to purchase. One print alone from many of these photographers would set you back about $100. You as parents are using your combined buying power to get a GREAT PRICE on a professional product at ABSOLUTELY NO RISK TO YOU. There is no 'send your child to school with a check in the envelope and cross your fingers that you'll like what you've bought'. This is a free service with no commitment to buy. So yes, we charge a nominal $10 re-shoot fee, yet only in the case of a customer-elected request. We offer multiple images to preview before purchasing. If we don't do a good job you don't order. We take credit cards, offer online services, we give you extended purchasing deadlines. Our investment in online ordering services is helping to heal many a broken family argument over who got the "picture envelope"... they can view and order separately and have the photos delivered directly to their home. Relatives can order for themselves as well. We provide a large variety of free services to your schools. Our company is incredibly customer service focused in this seasonal "quick in quick out" industry. So there it is... a long winded answer, which in shorthand translates to, " we will never be the cheapest- but we will always strive to be the best value"
Q: Are there special tips and hints to making the best school portrait possible? Check out http://www.mugsyclicks.com/services/tips-hints.aspx. You will find information regarding photographing students of all ages. Q: My student missed the first picture day. What do I need to do to make sure they get photographed? Just make sure your child makes it to school on the Re-Shoot/Make Up Day and we'll take it from there. Please contact your school and find out what day they have requested for a Make-up. Make-up days are at the request of the school and we require at least 10 students signed up before we commit to coming back to the school and photograph. Q: What is your re-shoot policy? Forgot it was picture day? Wish they had worn something different? Wished they had combed their hair? You wanted “smile” and they wanted “cool”? Just want to give it another go? And remember: you can order from the first or second photo session! 1. Check √ the “Re-Shoot Box” on your proof order envelope (very bottom). 2. Insert the $10 payment inside the proof order envelope (cash or check payable to Mugsyclicks). 4. You may PRE PAY your reshoot session online by clicking here. This option will cut off approx 72 hours prior to your school's scheduled make up date. 5. If you miss the envelope order due date or Online PrePay option and still want to participate in the re-shoot, please follow the instructions above by returning the proof order envelope properly marked to the school office. You will want to watch your school’s newsletter to know the date for your school’s “Make-up/Re-shoot” day. We will not be sending a reminder card. ALL RE-SHOOTS MUST TAKE PLACE ON THE “MAKE-UP” PHOTO DAY. NO PRIVATE SESSIONS AVAILABLE AT THIS PRICE. We require a minimum of 6 student requests to return to the campus. Q: Why do I have to pay for a re-shoot? ...........just got thru listening to a voice message from a mom who says she doesn't want to pay the re-shoot fee cause "someone combed her son's hair"....The VERY next message........."I don't see why I have to pay the re-shoot fee; someone didn't comb my son's hair." Bottom line: If there is a photographer error we are more than happy to re-photograph your child at no expense. If you would just like your child re-photographed for personal reasons, please follow the instructions above. And this is the "why": MugsyClicks is different from many school photography companies in that we photograph each child multiple times in an effort to create a portrait that you and your child will like. We are also different because we are not your standard prepay-and-hope-the-pictures-are-good company. We spend the time and money to show you the photos before purchasing, so you may choose which image to order from, how many images you would like to order from, or whether you would like to order at all. We want to make you happy; not just take your money and run. So our process goes something like this: after picture day we edit those hundreds, sometimes thousands, of photos down to a number somewhere between 3-6 images per child, upload the images to our lab as well as to our website, print and pay to deliver proofs to your school so you can instantly see a choice, and provide you with more poses online if you are so inclined to view more. ALL so you have your choice of images to choose from as well as a choice in the way in which you order (via envelope or online) and the way in which to pay. We don't even have a deadline for ordering prints. They remain available throughout the entire school year so you are free to order when its most convenient to you, not us. By the time you review these first images we will have invested our resources in photography, web hosting, school service items as well as all of our business and equipment. If we have made a mistake in this process we are happy to make good on this and re-photograph your child at our expense, but due to the subjective nature of photography (brush my child’s hair, don’t brush my child’s hair) as well as the collaborative elements ("kids will be kids" and sometimes that means they do their "own thing") we can not continue photographing without an investment on the parent's part. This is why we require a minimal re-shoot fee of $10.00. As you can imagine this $10 fee hardly covers the cost of a photographer coming out to your school to re-photograph your child. What it does do is make everyone as responsible for creating a pleasing image as we are. Some parents love having multiple sessions to choose photos from, and even though they’re happy with the first shoot, they take advantage of having a professional photographer photograph their children for only an additional $10. Charging a small fee for our time and your commitment is our way of providing you with these additional service requests. Again. If there is a photographer error we are more than happy to re-photograph your child at no expense. If you would just like your child re-photographed for personal reasons, just write re-shoot on your envelope, enclose $10 and return it by the order due date on the envelope. Q: My child wears glasses, will that affect the photo? Our photographers do everything they can to modify the light to minimize glass glare. There are a few things we have no control over due to the fact we photograph outside-light sensitive lenses and highly reflective locations. We can sometimes retouch glare but dark tinted glasses should not be worn on picture day. We generally ask to photograph the child both with their glasses and without in order to give you the choice. Q: Can I avoid photography of my child after lunch, snack, p.e. or art? Due to the complicated scheduling that schools have to balance on picture day some students will end up coming to the camera after participating in some kind of messy activity. If you are concerned about this, our suggestion is sending your child to school with an extra shirt, blouse or sweater to be put on just for photos. A bit of preplanning can make a big difference in getting the best portrait. Q: My child didn't wear the clothes I wanted them to wear, can I get a make-up shoot? Make-up shoots are available for most schools--please check with the school after the original photo day to verify that a make-up session will happen for your school. On these make-up days we photograph any child that was absent or needed their photos retaken due to photographer error. If you would like a re-shoot of your child for stylistic reasons however, we require that you enclose a $10 check in your envelope and write the words "re-shoot" across it and turn it in to the school by the envelope due date (listed on the top right hand corner) or at least 3 days before the scheduled make-up day. All reshoots must take place on the "makeup/reshoot" photo day there are no private sessions available at this price. Q: How do I communicate my wishes regarding my child's photograph on photo day? All special requests regarding photo day should be communicated to the photographer via a note presented ON PHOTO DAY. We are not responsible for any requests (clothing, hair, etc) not presented to us at the time of the photo session. We do not presently have a system to match email or phone requests to a specific child in advance of photo day. Q: The photographer made a mistake and the picture of my child is out of focus / has a blotch of light / has eyes closed in every shot / etc. Can I get a retake? If the photographer made an error and there is a make-up day scheduled we will be happy to re-photograph your child as a make-up. You must return the envelope by the ordering due date with a note requesting make-up photo and why. This is only in the event of photographer error. Q: How do I get MugsyClicks at my school? We would love to photograph your students and staff! Just let us know who is in charge of photo day hiring and scheduling and we will follow up with information. Q: How do I book MugsyClicks for Corporate Headshots? We KNOW Headshots! If we can wrangle a smile out of a two year old you KNOW we can bring a grin to your CEO or staff members. To learn more about MugsyClicks UNLEASHED photo services for corporate or private clients contact us using the quick link below. Q: How do I view your website in Spanish (or other language)? ¿Cómo veo su sitio web en español (u otro idioma)? Q: Where do I find info regarding the Family Portrait Weekends? For the most up to the date info check out our Unleashed Family Portrait site--this is where up to the minute info is noted. Hope to see you there!! Q: How do I find photos not taken at a school? We photograph a number of events thru MugsyClicks UNLEASHED. To view and order photos we will need to know your name, the Event Client (Count Me In, Wells Fargo, Marin Woman's Hall of Fame, etc) and the date the photos were created. We will then send you and access code to view and order these photos. If you have already viewed these photos they will still be attached to your photo album within your active MugsyClicks Account. Unleashed Photo Access Code Request. Q: I am unhappy with the printing of my photos. How do I request a reprint? We are sorry you are disappointed with the quality of your final prints. Our lab was chosen specifically due to the speed of turnaround and the quality of their printing but sometimes things slip through. In order for us to assess how to correct your printing, cropping or other image issue we need to see the actual prints. If we can fix it we will, if we can not we will refund your money. Please enclose note outlining print quality considerations and School Name, Subject Name, Package Ordered. Also include your Name, Complete Mailing Address, Email Address and Phone Number. If you ordered online please include ORDER #. We will review, replace or refund as quickly as possible upon receipt. Q: What type of photo paper is used? All photos are printed on Kodak Professional Endura paper with a lustre surface. The standard archival time for this paper is 100 years and 200 years in dark storage. Q: What are the exact dimensions of wallet sized and exchange sized photos? Industry standard sizes are 2.5" x 3.5" for wallets, and 1.75" x 2.5" for exchanges. Q: How do I submit someone awesome for a SuperSmiler Spotlight? Q: How can I get information re: sponsoring SuperSmiler Spotlight Profies? The MugsyClicks SuperSmiler feature is one of very few coadvertising opportunities we offer. Our list is deep and very focused and offers a great way to reach your target audience. If you are interesting in learning more please contact us via this link: SuperSmiler Sponsor. The SUPPORT LINKS at left are the most direct communication to our support team. Contact Forms are answered within 48 hours M-F. Your response email will come from info@mugsyclicks.com. Please check to make sure your email system has not filtered our reply into your spam/junk folder. If you are a School Representative please contact your school account manager at accounts@mugsyclicks.com. If you are a Yearbook Advisor and need assistance, please contact our Production Manager at accounts@mugsyclicks.com. Q: Parent is missing photo, who do I contact? You folks work HARD and we don't want you to have to worry about parent orders. 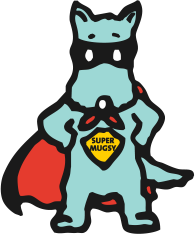 Just tell send them to MugsyClicks.com and have them click one of the support links so Team Mugsy can handle their concern. Q: How do I order new or replacement School Service Products? Your MugsyClicks Accounts Manager is your contact at MugsyClicks for needed School Service Products. 1) ID cards. Replacement ID cards for staff or students can be ordered online. We are happy to provide one complementary card but replacement cards must be purchased. You can find a student or staff Photo Access Code via our Online Photo Information Editor (OPIE) on your dashboard or you can refer the subject to the Photo Access Link above. If ID card was never received or is incorrect please use link below. If a card was lost then parents can order a replacement online. 2) ADMIN Disks. Contracted disks of images formatted for your Administration Software are delivered approximately 3 weeks following your school's final make up photo session. You will automatically receive this disk, no order is required. Please review the disk carefully to assure it is not the Yearbook Disk as they are often formatted differently. Q: How do staff order their portraits? Each School will be provided with a disk of staff photos approximately 2-3 weeks following photo days. These images can be distributed to individual staff members as the school determines. Staff members can order their photos directly via our website. There is a $4.75 fee for retrieving and color correcting these images. We also offer deeply discounted prints there as well. Q: Who do I contact at MugsyClicks regarding Photo Day questions? Your Photography team can answer specific questions regarding photo day. Your Account Manager (accounts@mugsyclicks.com) is your contact regarding student/staff data as well as needed school products. Q: How do I access my School Dashboard? What can I do there? Please email your account manager (accounts@mugsyclicks.com) to request information regarding accessing your School Dashboard. Only school administrators are allowed access to this system. OPIE: Online Photo Information Editor- OPIE is where you can edit subject data, choose yearbook poses, print an "on demand directory" and spreadsheet of all access codes for students/staff. Yearbook Disk Ordering: confirm yearbook images and place order for yearbook disk. Data Importing: All information necessary for importing student/staff data into the MugsyClicks system for photo day services and school products. Q: Where do I find Photo Day Scheduling Information? Q: How do I proof my school's class pictures? Class photos are proofed using Google Slides. You may choose to either edit entire set of class photos or you may forward the link to other members of staff. We highly recommend there be one point person responsible for meeting both the deadline and editing details. This will help manage potential editing delays. Edits are made in the notes are at the bottom of each photo (slide). Comments or questions regarding a specific class photo slide may be made by clicking on that slide and then clicking the comment button in upper right hand corner. Q: I lost all of my child's school photos in the Wine Country Fire. What replacement options are available? We are so sorry for your loss. Our Sonoma/Napa photographers have also felt the impact of this disaster and we are very empathic. We have extended all current year discounts and promotions for time being- we will update you on these deadlines via email. We will be offering reorder discounts and scholarships for replacement images but are currently working out the details of this program. 1) Check your MugsyClicks Account to make sure you have attached all the desired year's galleries. You can request Access Codes for missing years by clicking on the "Request Access Code Link". We will then attach the missing galleries to your account (assuming we photographed your school that year). 2) Fill out the MugsyClicks Image Replacement Program Form. We will be in touch with you via email with applicable discount codes based on purchase history and scholarship need. Trouble finding the answer to your questions?